Danny Gregory's new book Shut Your Monkey is different from his earlier books which are more visual with more pictures. This book surprised me with more text than pictures. 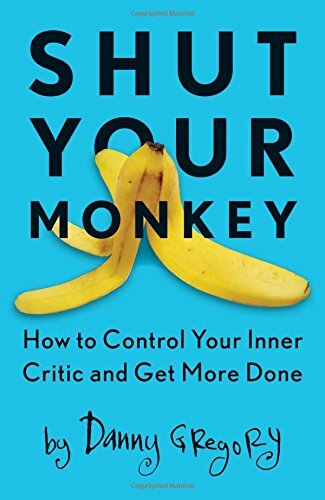 Shut Your Monkey deals with the inner critic inside of you. Danny Gregory calls that critic the monkey. This book is more like a motivational book. It helps you identify your inner critic, understand what it's trying to achieve, and lets you know how you can work with it and still be confident and proud enough to create your own work. The book can be quite lengthy at times talking about the sorts of criticism different people use on themselves and their own work. This is something I think everyone can relate to. I too have the inner critic and often question my own work. Different people deal with it differently and this book provides some suggestions on that and also help you look at things from a different perspective. This is a book I can see myself re-reading again in the future. And it's structured in such a way that you can just flip to any page and read bits of it and won't get lost. The tone is always encouraging. Every once in a while, people just need a little push to do the things they want but hold back for whatever reason. This book is that little push. I recommend this book to creatives those who likes to be inspired book.